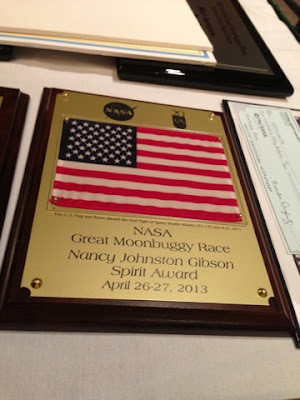 Last weekend was the (20th) annual NASA Great Moonbuggy Race. The race was so important to my mom. She would often take me out of high school to go help her judge and work the races...and those are precious memories to me. 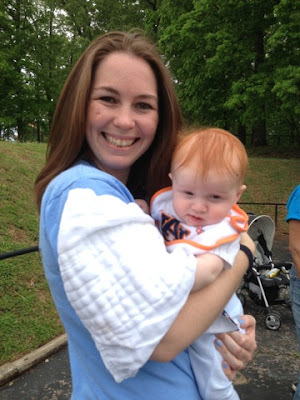 I love that we are back living in Huntsville so that I can be a part of the races each year. I couldn't be out there on day 1 of the competition because it was DNA Day at work, but we spent most of Saturday at the Space and Rocket Center. It was awesome that our friend Kristen was in town because I really needed some extra hands. 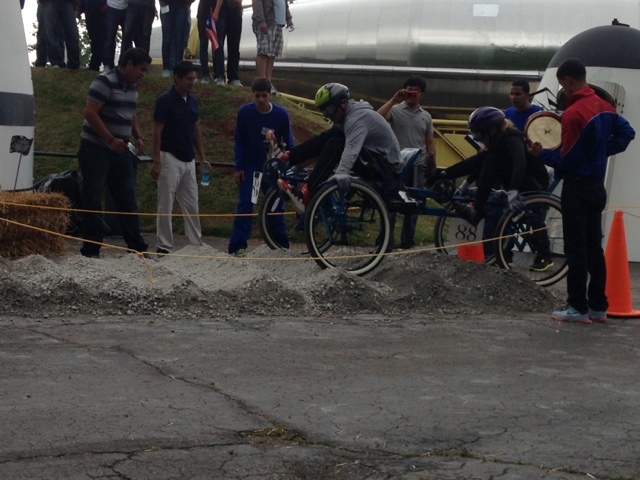 We were in charge of obstacle number 5. It was in a great location in rocket park and was definitely not a easy one for buggies to traverse...we called a lot of penalties. Emily, Matt and the kids came out to watch and we recruited them to help keep the obstacle in tip top shape between buggies. Perry had a good time watching the buggies go by and just being outside. 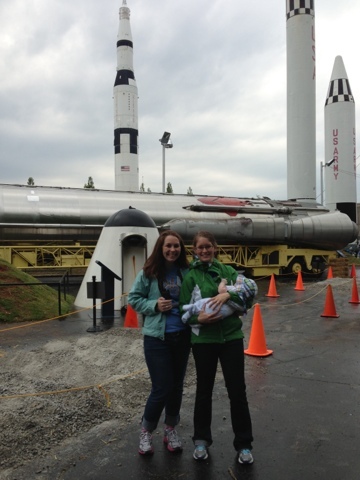 This was his first of many trips to the Space and Rocket Center. 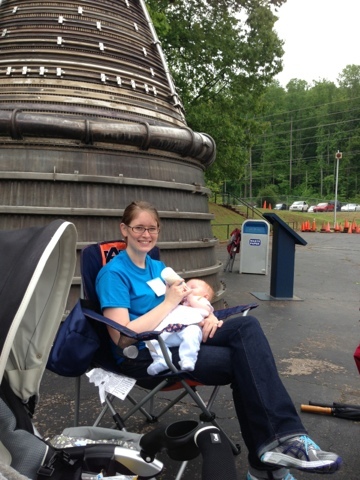 I love Huntsville, where else do you feed your baby a bottle beside a rocket engine? The weather was supposed to be really bad that day. It wound up not being too bad...definitely cloudy and damp but it only actually rained for maybe 30 minutes (and FYI - holding a baby and an umbrella is not an easy task). Sun hats also make good rain hats. 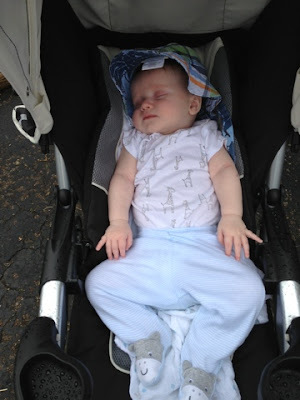 I know it is on backwards...but when a baby is asleep things like that just don't matter much. Kristen and Perry are good friends! After the race wrapped up and the final teams pushed, pulled and dragged their buggies across the finish line we headed over to the awards ceremony. Kristen kept Perry while I sat up front and gave away the Nancy Johnston Gibson Spirit Award. I can't pronounce or spell the winning team's name but they were one of the many Puerto Rican teams. 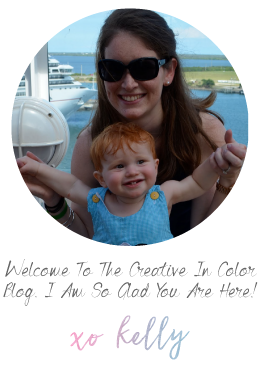 It was such a fun day...but we were all exhausted afterwards. We met up for dinner with Andrew (who had been at work all day) and then came home and crashed.